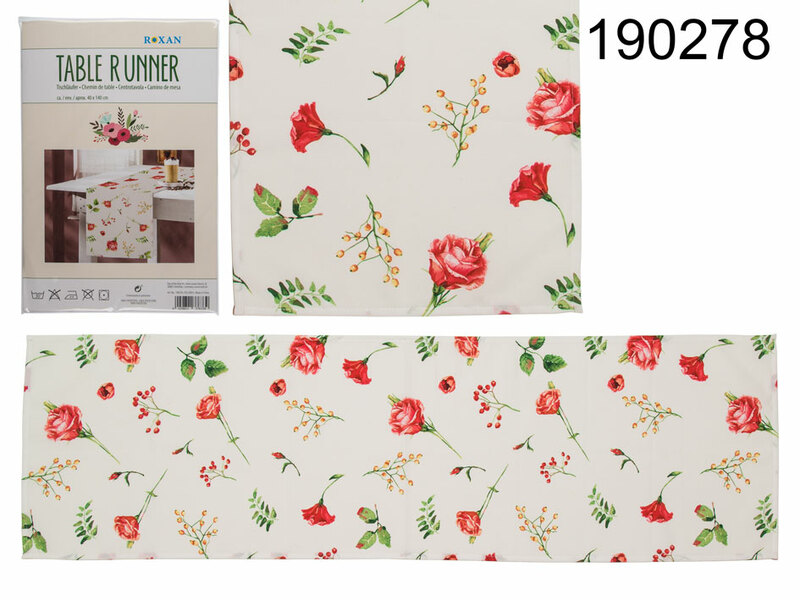 White fabric table runner with floral pattern. Stylish summer-style decoration. Great room accessory that matches the majority of interiors. Casual promotional item.